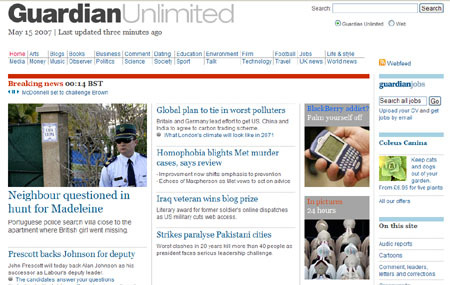 Guardian’s Emily Bell defended the new front page of Guardian Unlimited website. “The shining new front door” as she put it, is currently only the front door. No doubt the make over of the whole site will take a while. The Guardian Unlimited deserves a make-over. 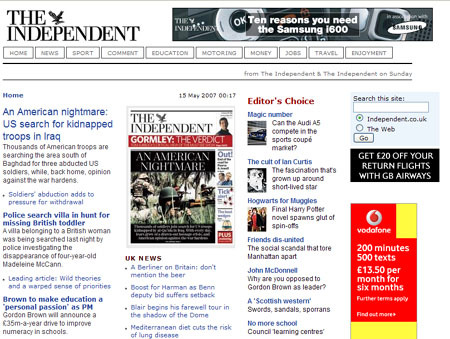 The old design of Guardian Unlimited isn’t the best I’ve seen. I often had difficulty to locate the contents and the fonts are too small, although the search facility improved a lot recently. 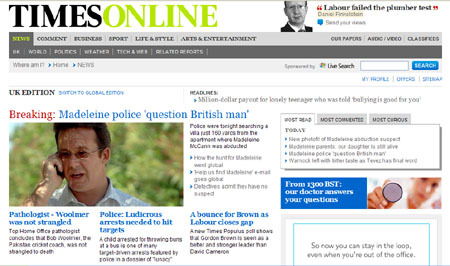 The problem of the new design is, it makes the website indistinguishable among other British newspaper websites. Guardian Unlimited is renown for its unique contents, but a shining new front door is in danger of making itself look generic. 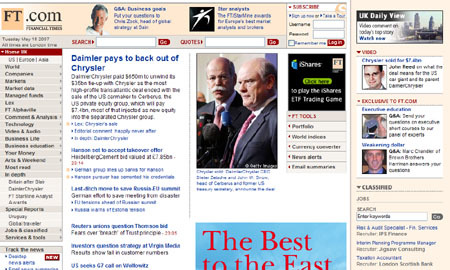 Comparing the front page of the “quality” newspaper websites, you will see the designs look too similar, only Independent has a slightly different look – but not for the better in my opinion. They all seem driven by the same ideas, perhaps dominated by framework of the same content management system (CMS). 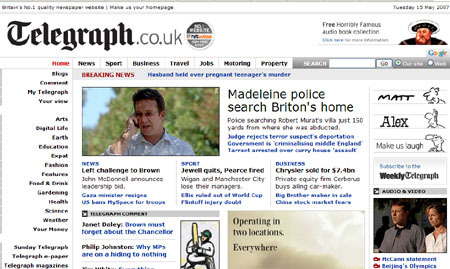 It’s all very well to improve the backend, but the front page design shouldn’t be undermined by the convenience of the backend. Surely a paper which produced such a wonderful, instantly distinguishable design for its print version, could invest some creative thinking and generate a web design innovative enough to matching its paper version? 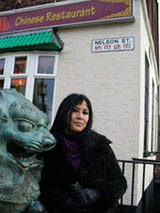 BBC Radio 4 last week broadcasted two programs about China and Chinese. Anna Chen tracked the lives of early Chinese migrants in the UK in her 10-part series Chinese in Britain, while Duncan Hewitt read his new book Getting Rich First: Life in a Changing China in Book of the Week program. The two programs provide sharp contrast: one is about how the early settlers from China survived and adopted to an alien land, the another is about how the young and old at the present time struggled and prospered when the old rules and value gone out of the window. And yet, both programs give some clues of how Chinese deal with changes, our fondness of “progress” and embrace of the “new”.